When you use computing resources present on a remote machine and delivering them to the end user in the form of a service over a network, it is called Cloud computing. Now, the computing resources may be hardware or they may be software. The most prolific example of such a system is the internet. Look at the working of the internet, it has users assigning over their data to a remote service, and this remote service may have limited to no impact. During its infancy, quite like most great inventions, the internet too was labeled just another fancy tech whim. But gradually, cloud computing was able to take it beyond just the initial hysteria and set a base for how IT works in the modern day. 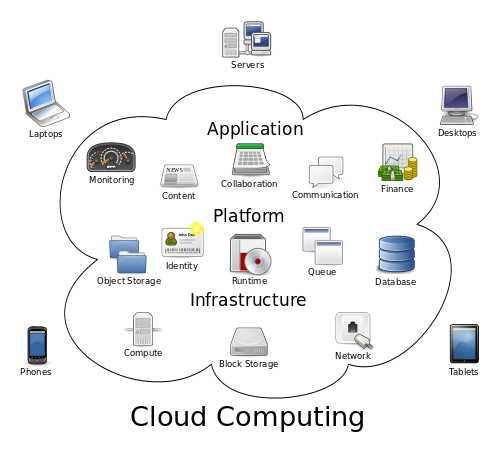 • Infrastructure as a Service (IaaS): Seen as the most basic cloud service system, it provides users with virtual infrastructure. • Platform as a Service (PaaS): This model serves as a means for the Cloud service vendor for providing the users with development environment services. These in turn can be used for coming up with in-house built applications. • Software as a Service (SaaS): This is a system that helps the users by providing them an access to an already developed application. This application will already be running in the Cloud. The Cloud user is saved the process of installation and running as he does not have to manage the infrastructure himself. • The Network as a Service (NaaS): It is safe to say that this is a model that is not very popular. Under this model, network connectivity services such as VPN and bandwidth are provided to the user. You may be on the receiving end or you may be at the providing end, cloud computing possesses tons of advantages for both the parties. As an end user or as a business of any size, cloud computing has something to offer you. Up until recently, as a business owner, you were required to have the infrastructure and have the knowledge to uphold and develop the same, along with maintaining the development environment and application. But cloud computing immediately eliminates the need for these. Outsourcing makes sure that all this is taken care of by someone else and that the business can focus on the core activities. Here are some of the most prominent advantages that cloud computing will provide both the company and the end user. 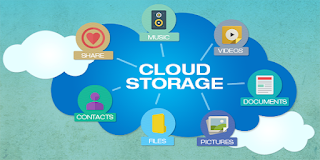 One of the most prominent advantages that cloud computing provides you is this. It provides you cost efficiency by eliminating the investment required for stand-alone software servers. When a company puts to use cloud’s features they are able to get rid of overhead charges that come in the form of software updates, management, data storage etc, and also they can be prevented from paying license fees. 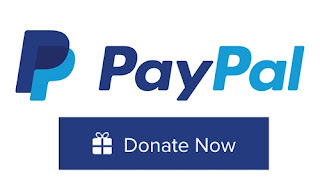 If we were to get into the technical aspect of this, it is worth pointing out that by eliminating capital expenses that come along with the development and maintenance of server infrastructure, it helps you attain a better cash flow. The Cloud helps you reduce your IT expenses to a great extent and also it is available at a much cheaper rate as compared to the traditional approaches. Moreover, what makes the cloud even more lucrative than before is the number of scalable and convenient charging models that have, in recent times, come up? When you’re using Cloud, it doesn’t matter where the user is situated, the services can be made available to that user at their location. Using this, information is made much more accessible. Also, it helps in housing the requirements of all users, regardless of their geographic location or their time zones. Moreover, given the amount of ease and comfort it provides in sharing documents, it has led to a major success in collaboration. Also, by guaranteeing service uptime, it ensures that resources are available continuously. This is made possible because usually, multiple servers are used by cloud vendors. So, when there is a system failure, other machines begin spawning alternative instances. Now that all the data exists on the cloud rather than being on a physical device, the complete process of backing up the data and recovering it is much simpler now. Cloud providers make available backup and recovery data solutions that are both flexible and dependable. There are instances where the motive of using Cloud is the backing up of data on the local computers. When compared to the mainstream IT infrastructures, it is evident that Cloud is more efficient. Also, the resources needed to compute are lesser as compared to the IT infrastructure, which provides as a means of saving energy. The system only consumes those that bit of resources that are required at that point. Cloud computing provides its users with resiliency and redundancy. That is because the architecture, it is built on is robust and stout. Along with the inclusion of disaster recovery services, it provides the users with automatic fail over amongst hardware platforms. Provided as a built in feature, scalability provides massive assistance to the user. With the deployment of Cloud instances only as and when required, it helps you gain cost efficiency as you will be paying only for the applications and data storage that you require. Alongside this, you get elasticity. This is because you can scale cloud anytime to put it in line with the IT system demands. When talking about performance, it is on the provider’s head to make sure that your services run on the most efficient machinery possible. Also, the distributed architectures are utilized by the system, hence offering you excellent speed of computations. When making use of Cloud installations, you will get automatic and organic software integration. Based on the preferences of the business, they have the option of selecting the services and application that they deem to be perfect fit for them. Also, the effort in customizing and integrating the applications is minimized. Establishing and running a cloud system is a process that does not require a whole lot of time. This quick deployment serves as a major advantage for cloud. Along the same lines, when introducing a new user to the system, the waiting time is eliminated and the process is instantaneous. When compared to a personal computer, the storage capacity provided by the cloud is much wider. One might as well go as far as saying that the storage capacity is unlimited. How this serves to be as a benefit is that it removes the omnipresent worry of running out of space. Also, it spares the user the need of constant up gradation of the hardware and that in itself reduces the overall cost. A cloud application does not require one to go through hours and hours of vigorous training to come to terms with the system. The learning process is shorter since the users have a bit of familiarity of the system. Thus, the process of adaptation is much quicker. You can look across a wide array of examples, such as Gmail or Google Docs. There are a host of electronic devices the support internet using which you can gain access to Cloud computing services. From the good old fashioned PCs to the modern tabs and smartphones, you name it. And this permits the use of the ‘Bring Your Own Device’ policy, as per which, the employees have the freedom of bringing their personally owned devices to the workplace. Hence, it saves the business a bucketful of investment. Add to this the fact that the end user has the added advantage of not just being able to access Cloud using any mobile device of his wish, but also getting to decide where to access the service from. Place or device will never prove to be a hindrance. Hence, the benefit of being able to access the data from anywhere at any time proves to be a lucrative advantages. No system is perfect, especially when talking in terms of technology. We’ve been through tons of advantages that Cloud provides to its users. Nonetheless, the system has its own set of shortcomings and drawbacks. Here are few that are quite major. When using Cloud computing, your biggest concern would forever be security. By making use of a structure that is Cloud based, the company is putting at risk crucial data that might be confidential and sensitive. Basically, the management, security and the responsibility of retaining them now rests on the shoulders of the provider. Thus, the credibility of the provider is of utmost importance. When updating data on the cloud, you’re in a way putting the entire existence of your company on the line. Therefore, one has to put in time in exploring all alternative mediums before coming to a final decision. Likewise, privacy is another matter of worry on Cloud. In a time when data loss and password leakage stories run every other day in the news, trust factor plays a huge role in Cloud computing. 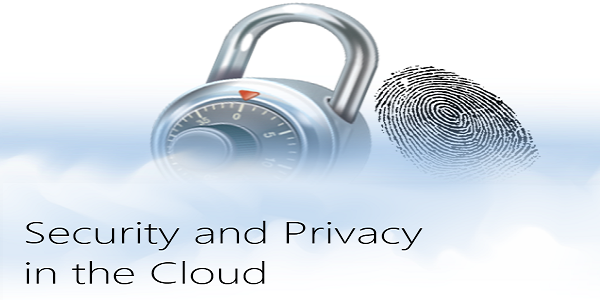 You have to trust your cloud service provider that the data will be kept safe and away from unauthorized users. One of the most crucial aspect of Cloud computing is that you are now dependent on the cloud service vendor. A term that goes around in the industry is ‘Vendor Lock In’. It refers to the fact that once enrolled with a certain Cloud provider, it is ridiculously difficult to migrate to some other provider. If you do decide to switch, the whole process of transferring the entire data from the previous vendor to the new one is really hard. Therefore, when enrolling into Cloud computing, you have to make sure that you do complete and thorough research of the provider as well as of other options than Cloud. Smaller businesses are spared the task of having to deal with technical issues and can now in turn hand them over to IT companies. Nevertheless, one has to bear in mind that all systems tend to come across dysfunctions. Over time it has been seen that even the top cloud service vendors will face the issues of outage and downtime. Also, the whole setup is internet driven, hence whenever faced by network hitches the system will be rendered useless. The amount of control that companies and users have over functioning and executing the hardware and software is quite restricted. This is due to the nature of the services.They are being run on third party remote, virtual environments. Also, since the software being used is remote, it lacks the feature possessed by a locally run application. 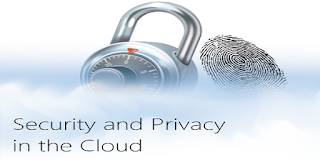 When talking with respect to security and privacy, as mentioned earlier one has to take note of the fact that solutions that are based on cloud are exposed to the internet. This makes that data much more vulnerable and an easier target for hackers and users with mal intent. Absolute security on the internet is a myth. The bigger a company gets, the potential threats and their severity increases too. The major disadvantage is this, if even a single machine that stores data is compromised, it might lead to leakage of sensitive data across the world. The potential growth that Cloud holds is evident to everyone. Despite the fact that it’s still in the germination stage and has quite a few disadvantages, Cloud computing is growing stronger by the day. The bigger sharks are drawn to it as it is seen by them as a means of providing better and fine-tuned services. In this growing world of technology, one can only wish for the advantages to grow and the disadvantages to be dealt with. Maggie Sawyer is a highly professional and an experienced web developer for PSD to Wordpress development at MarkupHQ Ltd. She provides PSD to Wordpress Responsive Services with 100% client satisfaction guarantee.